One thing my closest friends will tell you about me is that I’m good at finding great buys on Craigslist. It’s true. I’ve found some wonderful things on Craigslist… I think all of you know how much I love my beloved china cupboard that I found on Craigslist a few years ago. To this day, I still love it and it still makes me smile every time I look at it. This is how it looked on Craigslist, and I remember being devastated when the seller wrote to me and told me it was already sold. But it was meant to be mine, because she wrote back a few days later to tell me the buyer had changed her mind and to ask if I still wanted it. YES! It came home, and I’ve loved it ever since. How it looked after I brought it home. Then there was the “haunted” table I found last year. 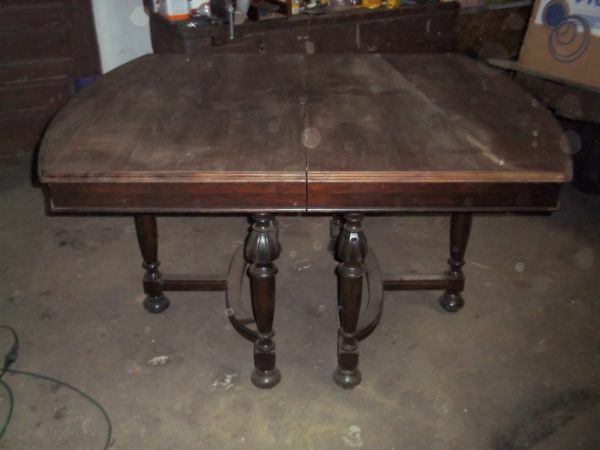 How could I resist checking out a Craigslist ad with the headline “Possibly Haunted Table”, especially in October??? I couldn’t so I checked it out, and then checked it out again, and checked it out again. I kept going back to that listing, something about it spoke to me. For the record, since we bought the “haunted” table, we have not had anything strange happen. So if the table’s actually haunted, the spirits must be happy with how we’re taking care of it. After we brought it home, we realized the legs were on backwards, and we switched them around. The, because the people who had it before had stripped the top, I cleaned it up and refinished the top so we could use it. 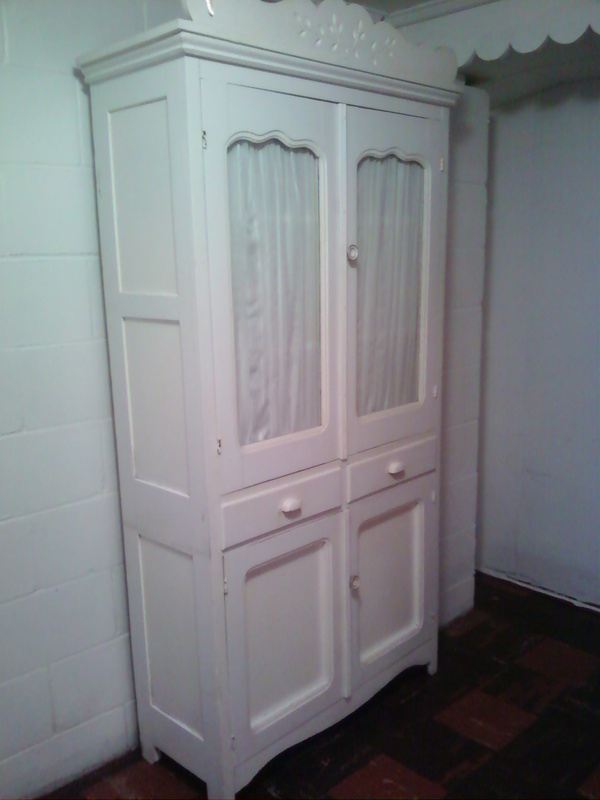 This summer, I will be stripping the whole thing and refinishing entire thing. How it looked after refinishing the top. We love this table. Like I said, I’ll be refinishing the whole table this summer. When I refinished the top, the weather got too cold, and the top has a couple blotchy spots because of that. Plus, I didn’t touch the legs, and they need to be stripped and refinished. Two of the chairs have been painted white, and I’ll be painted the other two probably this week. But, this Craigslist find has given us so much more room in our kitchen/dining room even though it’s a bigger table. The shape just works much better. Well, now we’ve reached my latest Craigslist kitchen upgrade. I’m so excited. 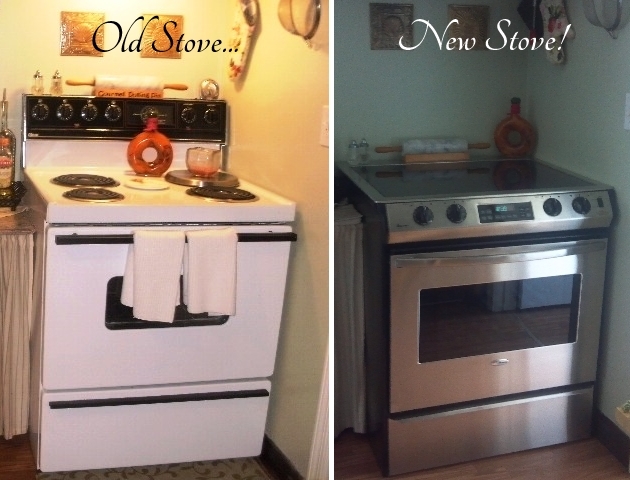 I know all of you know how much I’ve wanted to replace our stove… Well… WE DID!!! I found a stainless steel stove on Craigslist 20 minutes after it was listed. The stainless ones always go quickly, so Jim said to write to the seller right away. The guy called me about a half hour later, and about an hour later we were the proud owners of a new stove–well, new to us. Unfortunately, I didn’t get a before picture of it. But we installed it yesterday. It really needed to be cleaned up, because it had food burned in it, and even had some bugs in it! GROSS! But it cleaned up beautifully! I love the new stove. Of course, there was a little bit of buyer’s remorse, before we installed it, because we were worried that maybe it wouldn’t actually work. Fortunately, it does work. It looks great with our stainless steel refrigerator, and it really updates the kitchen. It’s such an improvement over the old stove, which came with the house when Jim bought it. 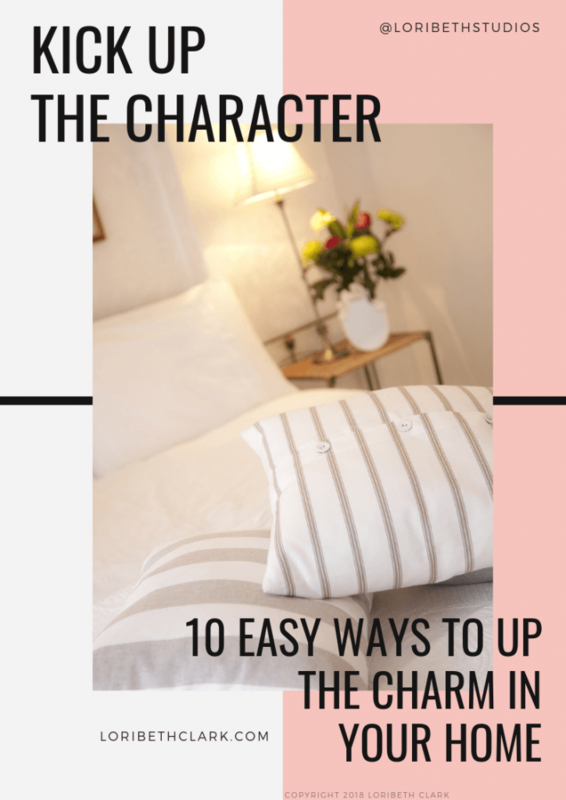 BTW, for those of you who hate stainless steel because of the fingerprints, the best way to prevent fingerprints is to clean it with Pledge or Old English furniture polish–the spray kind for wood. It works great! Seriously. Try it. Any way, now, all I have to do is find an over the stove microwave in stainless steel, and the appliance upgrades will be complete! Okay… no post about Craigslist finds would be complete without a dollar amount… All of these finds cost us $450 total! A china cupboard, a cherry table, and a convection slide-in stainless steel range all for under $500. Now, those are great deals!! Have you found any great buys on Craigslist? ?